The loss of a long time colleague, a good friend and a mentor ..
Bob, entered into a relationship with my website, when I first created it. He seen the value and wanted to help and provided a series of motivational videos for our readers. Over the years, thousands of our website visitors clicked on Bobs free motivational videos and used his expertise to help each of you get better in the sales business. Bob enjoyed life and the many adventures that life brings. He was one of the top motivational speakers in the country. Bob took up sky diving a few years ago. It became a passion that he enjoyed. Sadly, on March 21st, he died when his chute did not open and we lost him. I will miss having him as a friend and mentor. 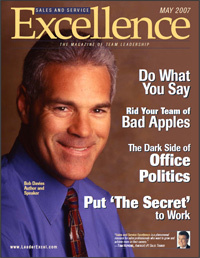 When I first started out in the insurance business, bob gave a talk at one of my company seminars. I was so impressed with the things he shared that I ended up buying two of his video tape programs. I was at a point in time where I really could not afford to spend any money, but for some reason I did, and it was a life changer for me and my career. when I started up my website, I called him and asked how he could help me again. Without hesitation, he said Ted, let me put a video series together for your readers. We will continue to promote those videos on our website in memory of Bob.